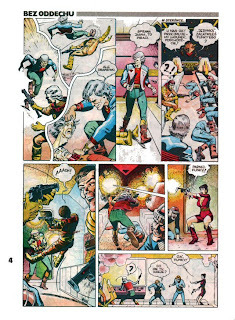 Pictures presented are from pages of graphic novels I loved to read when I was a child and later a teenager. I discovered graphic novels quite early but I'm not a graphic novel reader at all. Those pieces were published in Poland in 80. in times, when country was isolated from "cultural influences" from western Europe. There were very few publications from the west and graphic novels were probably seen by authorities as rather unharmfull and safe. 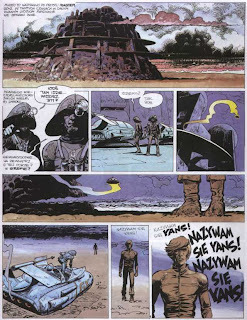 First picture comes from "Yans" by Grzegorz Rosinski (Polish ilustrator working in France) and Andre Duchateau (scenario), second two pictures - page and fragment of the cover come from series Thorgal (Rosinski & Jean van Hame), the last one is Polish graphic novel Funky Koval by R.Polch and G.Parowski. Those graphic novels were probably targeted for older audience, but were collected by younger also because they were a good alternative for infantile books and graphic novels designed for children. Those graphic novels were also more universal, telling stories about heroes, friendship, fight of good and evil. Characters were obviously special and outstanding persons, but not superheroes in fancy suits. 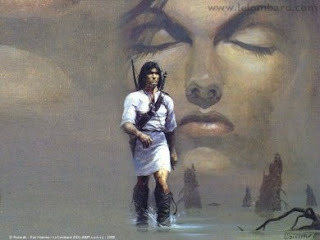 Series Thorgal has been published for many years (if is not still in progress) and contained almost 30 books and because of that has even more fans, who grew up with their favourite character. 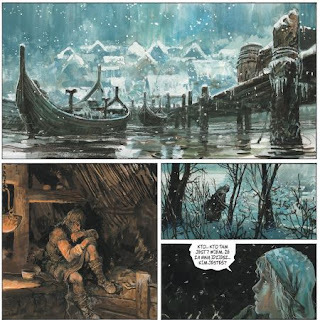 Reading Thorgal alowes to observe how artist style was developing, changing, bringing new techniques (watercolor exchanged by oil-paint looking ilustrations - quality of ilustration - that was a real reason that I liked Thorgal or Yans). To be honest I didn't appreciate further changes in Thorgal's style that much and probably story should end up some time ago. Or perhaps I just like those novels from my childhood and new ones don't atract me any longer. Variety of graphic novels nowadays doesn't atract me either. I read some manga or American "Marvel" style novels, but I guess superheroes with super powers can't really compare with noble Viking warior with bow and sword fighting with evil to protect his family. amazing work, drawing, even fashion (vide hans). similar to you, i used to read them as a kid.